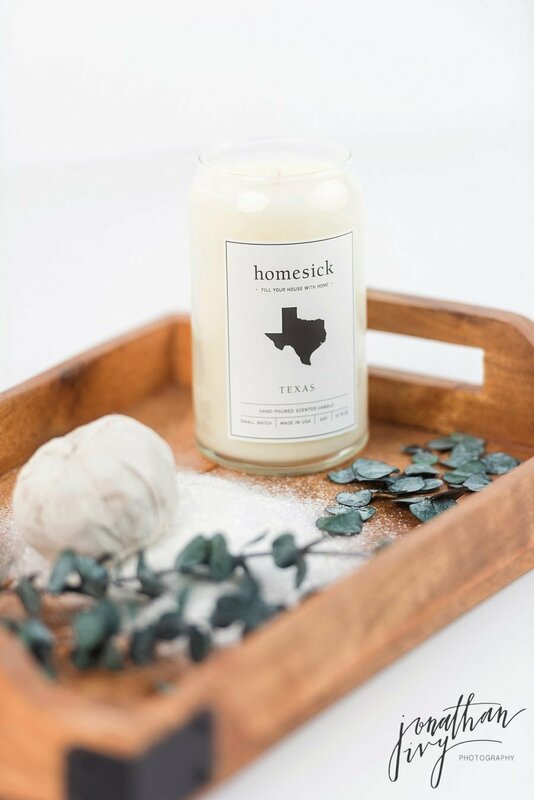 Product Photographer in Spring TX – Homesick Candles hired us to take some basic white on white product shots as well as snap a few basic stylized photos. Here are a few of our favorites. If you are looking for a new candle to fall in love with then look no further! 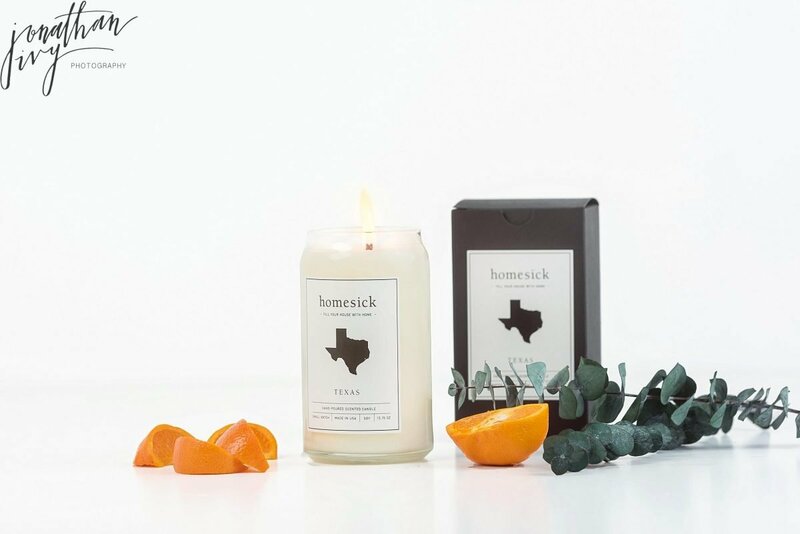 They gave us 1 Homesick Candle, the city of Dallas, and it smells SOOOOO GOOD!!! Even before lighting it the whole rooms smelled so good. After lighting it the room smelled even better and were we so happy as the candle has burned for forever. It has a long life! Want to order or see more from Homesick Candles, please visit their website. To see more of our Product Photography please visit our Product Photo Website.